Impact Economy: Part Two of a series on key opportunities in impact investing and frontier markets. On Tuesday, Allianz announced it would to stop financing coal-based business models. Bill Gates has recently called for an “energy miracle.” And meteorologists remind us that the average global temperature could be more than one degree Celsius above the preindustrial level for the first time in 2015. Awareness of the long-term environmental and social sustainability of the global economy is rising. This is not just changing the way people interact, but also how we allocate capital. Investing according to environmental, social and governance criteria (ESG) is gaining ground, considering impact next to risk and return. As the international community currently seeks to get its head around two issues, these large-scale efforts are changing expectations about what an investment should deliver next to profit. To prevent the average global temperature to rise above 2°C relative to preindustrial levels, governments are meeting again, at COP21 in Paris next week, to finally agree on carbon dioxide emissions reduction goals. To stabilize the climate, annual global emissions should peak in 2020, and not exceed 44 gigatons of CO2e. By 2050, they need to fall to 22 GtCO2. 2014 emissions were 32.3 GtCO2. Moreover, to achieve sustainable development everywhere, the new Sustainable Development Goals (SDGs) framework has replaced the Millennium Development Goals. The 17 goals and 169 targets raise the ambition level and include large-scale topics such as combatting climate change (SDG 13). Innovation, markets and investment are core to any credible solution that does more than moving around the deck chairs on the Titanic. A pacesetting company such as IKEA is investing hundreds of millions of euros in resource efficiency, which they see as instrumental to achieve the goal of almost doubling the group’s turnover over the course of the decade. Transitioning to a circular economy model in fast-moving consumer goods alone could yield net material cost savings of more than USD 600 billion per year globally. We need new solutions, and roll them out. Approaches that seek financial return as well as social and environmental impact—also called “sustainable investing” or “impact investing”—are becoming more popular. Just take the new possibilities enabled by the Internet of Things—a motor to create USD 19 trillion in value by the mid-2020s, and a powerful driver of much greater resource efficiency. How can new investment themes targeting financial return, resource efficiency and impact move to the core of capital markets? My new book “Building the Impact Economy”—published by leading European science and economics publisher Springer—stresses how responsibility translates into opportunity, and lays out the fast lane to mega scale. To avoid being disrupted, it’s time to disrupt. For major institutional investors, the potential stranding of their assets is gradually becoming more important. Just like acting on the dangers of asbestos by banning its use in electric and building insulation disrupted these industries from the 1990s, removing fossil fuels from the energy mix has implications for the value of an energy company’s oil or coal reserves. By the mid-2000s, 40 countries had completely banned asbestos, including most countries in the European Union. We do not know how fast the divestment of coal will progress. But one thing is certain: The divestment movement now needs alternatives to invest. Sustainable supply chains and renewable energy are multitrillion-dollar industries and a placeholder for reconciling competitiveness with social and environmental performance. Stabilizing the climate requires cumulative investments in renewables of almost USD 9 trillion until 2035. Governments will need to take deliberate policy actions to shift the world away from fossil fuels. Unlimited amounts of subsidies cannot be paid out to build a green economy. According to the International Energy Agency (IEA), global government subsidies for fossil fuels amount to USD 550 billion (2013), or more than four times as much as governments had made available to promote renewable energies in the same year. This makes the USD 100 billion wealthy countries want to allocate for support to poor nations from 2020 on look affordable. But the bigger question is: how can renewable energy become fully price competitive and substitutable with fossil fuels much faster? There is a massive win-win opportunity to achieve positive social and environmental impact as well as profits. “Building the Impact Economy” synthesizes game changing opportunities from a review of over 9,000 startups and technologies. Textile and garments, the world’s #2 polluting industry and one of the world’s major employers, is similarly teeming with opportunities to achieve greater sustainability and profits. Rather than being a net cost, improving labor conditions can increase productivity. In addition, greater resource efficiency can be a win-win for the bottom line and the environment. DMF, the leading solvent in manufacturing any polyurethane coated textiles, is used in many materials including one billion pairs of sports shoes produced every year. It is also a chemical substance of very high concern. Four billion square meters of polyurethane synthetic create twelve billion liters of DMF-contaminated wastewater and 30,000 tons of solid waste every year. Cleaner technologies can save up to 95 percent of water. How can we modernize factories without raising the unit cost of production? 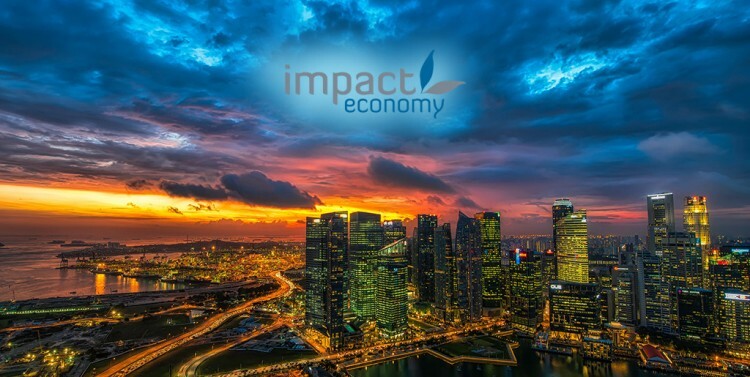 “Building the Impact Economy” shows that value with values is the 2.0 of capital markets, taking in consideration return, risk and impact. Believe it or not: capital markets can help create a better world and make money. With all eyes on COP21 next week, what an exciting and timely opportunity to do both good and well!